The Betway British Basketball All-Stars Championship will put BBL teams on a global stage with live coverage on networks spanning over 100 countries when it tips off at The O2, London this Sunday, September 24. The inaugural Championship will be broadcast live throughout on Sky Sports Arena in the UK and Ireland, with coverage in America on Eleven Sports Network. 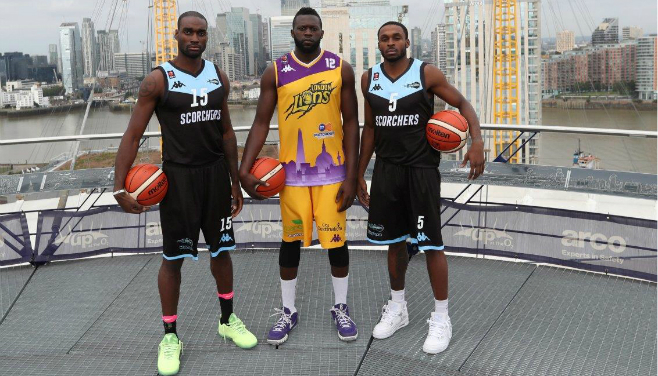 The British Basketball All-Stars Championship introduces some exciting new innovations as the top eight BBL teams compete for a record-breaking £100,000 prize fund. Matches are just 12 minutes long with a 20-second shot clock while an all-Star 5-point line offers rewards for those willing to brave a shot from distance. Teams will also have a two-minute Power Play at their disposal, during which any pointes will be doubled. The tournament commences at 1pm (UK time) with a double elimination group stage comprising a total of ten matches, with the subsequent six fixtures determined by the outcome of the first four. Two straight wins will qualify a team for the semi-finals while two straight defeats will spell elimination. The ?nal set of matches in the group will feature teams with one win and one defeat competing to stay in the competition. Fixtures for the semi-finals will be drawn shortly after the conclusion of the group stage.